The last show of 2016! [00:03:14] A year ago, the four members of Bad Voltage looked forward in time and predicted what would happen in 2016. And now, we look back and say: how did we do? Our roles as Nostradamuses (Nostradami?) come under analysis, and we look at each of our predictions, what it would have meant were they true (spoiler alert: some were! but... some were not), and who is the worst most terrible futurologist. Sad to hear Brian will be moving on. The reason the show works so well is the diversity of personalities, experiences, views and insight. Are there plans to fill the fourth spot? Them some huge shoes to fill. Are there plans to fill the fourth spot? Is a press statement from the VP of Connected Devices enough of an announcement for Brian, or will there be yet more wriggling? There was no press release made by Mozilla on this. They did announce it when one employee was speaking at a small event, but most of the dissemination of this seemed to come from tweets from folks that happened to be there when someone mentioned that they’d no longer be focusing on Firefox OS. That said, this is the closest I’ve seen to any comapny formally announcing leaving the phone business entirely. I think my main point still stands as I’m not sure I would have successfully lobbied that my prediction (based on the criteria I set… which was dumb of me) would hold true even if it were about Mozilla. Side note: Hey Gerv! How ya doin’? Still fighting against the basic civil rights of good people throughout the world? In this episode, I seriously appreciated the graciousness shown. @jeremy was gracious in not gloating over his success. @sil was gracious in humbly admitting that his predictions didn’t pan out. Then there was @bryanlunduke being gracious in trying to horse trade @jonobacon for a vote!!! Really enjoyed the show and am anxious to see what will become of BV. I hope Bryan finds success, and joy, in his new adventure. Also, Blackberry have exited the market in all but name, by adopting Android as their OS, and passing off handset design and manufacture to TCL, leaving BB simply as a software and services vendor. That “small event” was our six-monthly All Hands meeting, and the “one employee speaking” was the self-same VP of Connected Devices giving an opening keynote. I’m doing great, thanks Are you still beating your wife? Objection, your honour; loaded question. Well, quite. I have the same objection to Bryan’s question. That’s the whole point. Gerv. You are on record as working (rather hard) to oppress civil rights. You know this. I’ve called you out on it publicly in the past. I find your actions dispicable and lacking any honor or kindness. When I make that statement, I am doing so factually based on truths that you agree to. You, on the other hand, attack people without knowing any information. Perhaps the attack is mostly in jest (I will assume that it is). But it is also in poor taste. If you were an honorable man, you would apologize to me. But I don’t want it. Instead I would ask that you apologize to the people of this world that you feel should not have basic civil rights. The question I “asked” is a standard example of a question with assumed premises - called a “loaded question” - see https://en.wikipedia.org/wiki/Loaded_question . The right answer to the question “are you still beating your wife?” is to deny the premise of the question; I deny the premise of your question about civil rights. I suspect the disconnect is that you call certain things “civil rights” which I don’t believe to be such - and that would actually be a far more interesting discussion, although perhaps off-topic for this thread and this board. From where do your ideas about what makes a civil right come, and why are they binding on the rest of us? @gerv @bryanlunduke any chance you can have this spat privately? Not sure we all need to see it. No spat. Gerv just feels that he has the right to restrict other people in how they go about their lives and who they choose to live with – and he makes a big deal about it. So I mention it. Because it’s gross. @bryanlunduke enjoy your new gig! What’s your new show called again? URL? Not clear if this is only for these new generation chromebooks, so I guess predication still not totally correct. 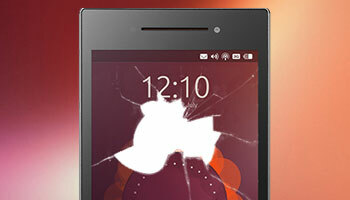 No new Ubuntu phones are currently on the horizon, and now there are no plans to give major updates to existing devices. I love how Canonical is still pretending (at least publicly) that they might make a phone (or update existing ones) someday. That’s adorable.